Thinking of holding your wedding ceremony on beach? Make sure your hair does not get in way when you kiss your newly wed husband. Beach wedding hairstyle needs to withstand the wind that would obviously be there. 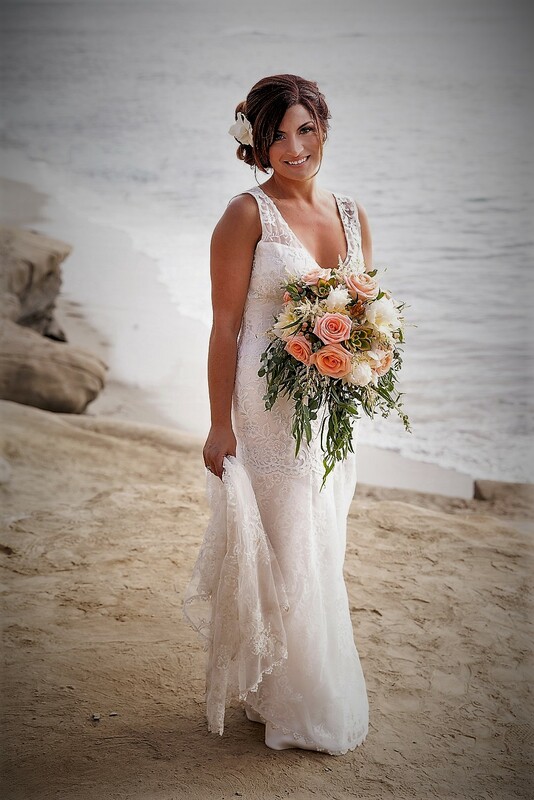 There are many easy to manage and lovely beach wedding hairstyles available for the brides to choose from. 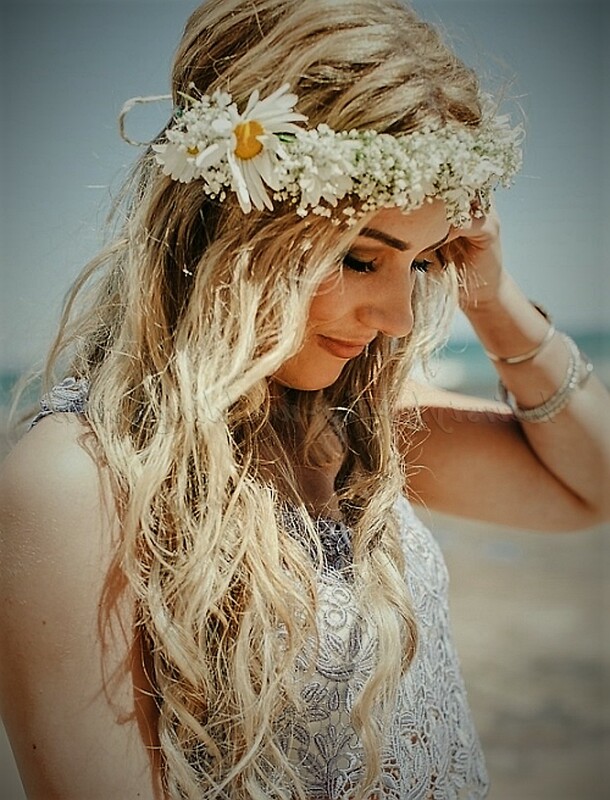 If you are thinking of a beach wedding that is fun and informal you can choose a hairstyle that is beautiful and easy to manage. 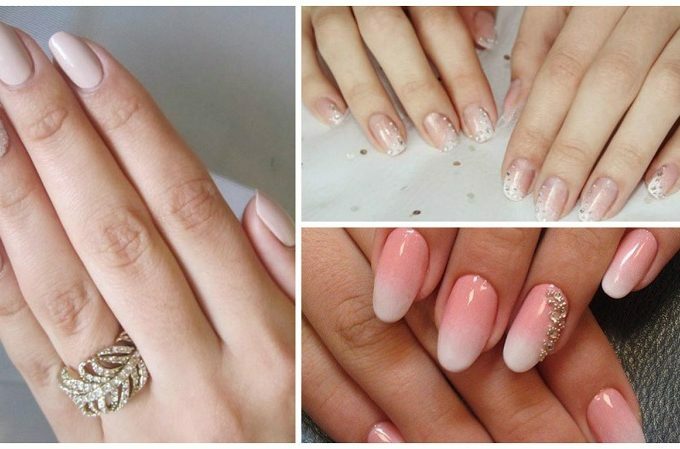 Once you are wearing the wedding dress, it would simply be impossible to comb or take care of your hairdo. Your hairstyle would depend on the length of your hair. 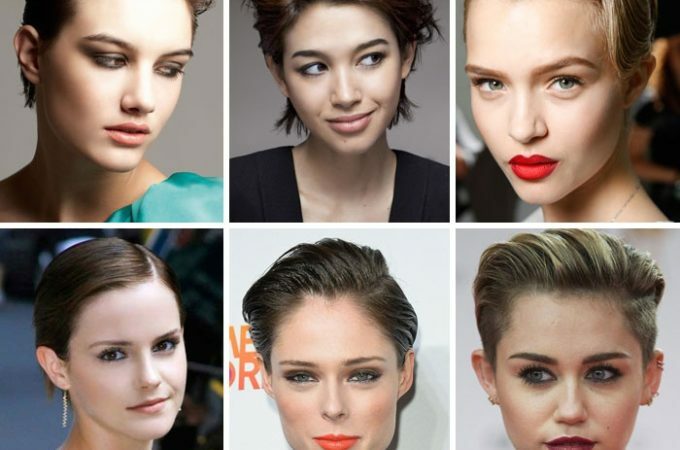 Brides with short hair will find it very easy to manage hair. If you have shoulder length hair, you can do light curls for your hair. Wavy hair would look great when left open with a hair accessory pinned on one side. 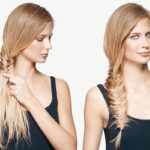 For longer and thicker hair you can easily tie it loosely with a sash. You can use special sash for tying your hair up. For those with straight hair you can tie your hair in a light bun. However, in case of silky hair you would be well off leaving them loose or using hairstyle that will hold them even though the winds are high. 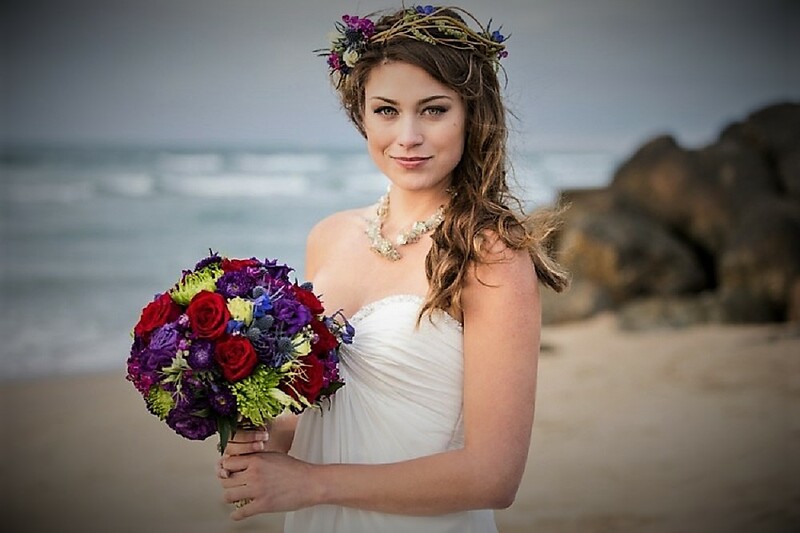 Brides also have the choice of choose hair updo for the beach. 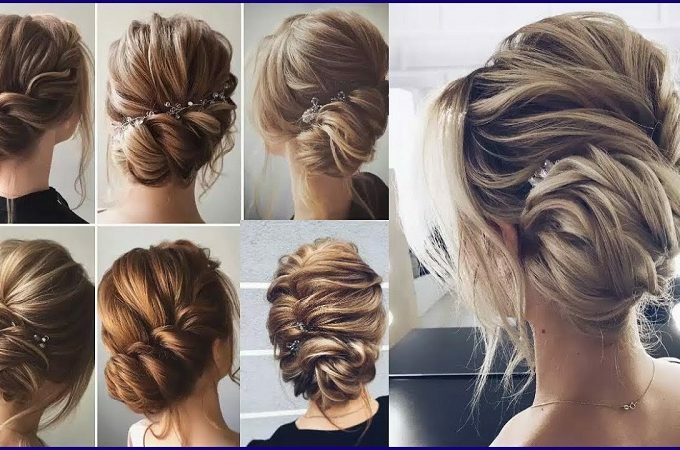 These updo are not the regular perfect ones, rather these can have some stresses hanging out informally. So when the wind strikes and strands come loose it will simply look as part of the style rather than look out of place. 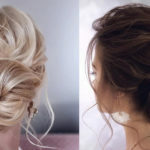 Beach wedding hairstyle should allow stronger winds so there is no damage to the way you look in middle of your wedding. 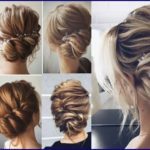 For those who do not want too much loose hair also have the option of tightly bound hair updo that is both easy and simplistic. The hair however is quite firmly tied on the head. This makes it impossible for the wind to remove hair from bun. The hair once tied can be decorated with accessories. The hairstyle looks both very mysterious and stylish. Such style would look absolutely great with sunglasses. 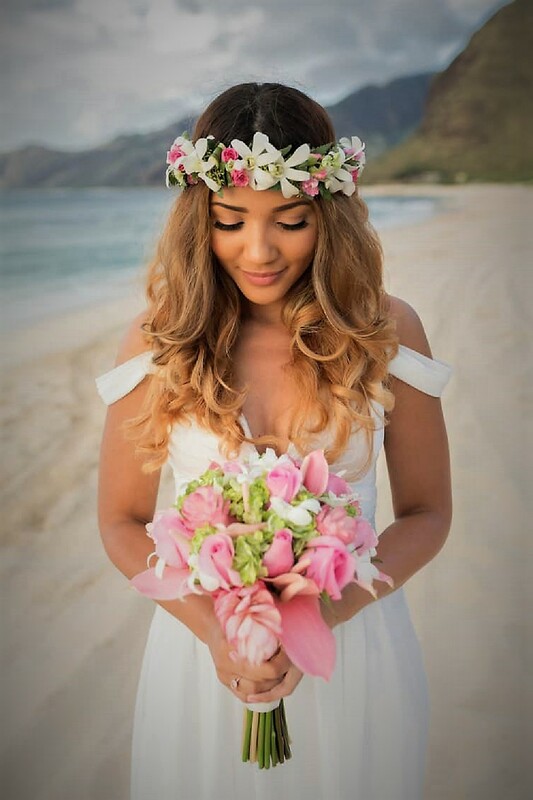 Since nature is very much involved in a beach wedding, it would be great if you can use tropical flowers as hair accessories. 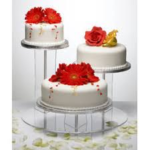 There are many gorgeous white colored flowers that will go with your wedding dress. 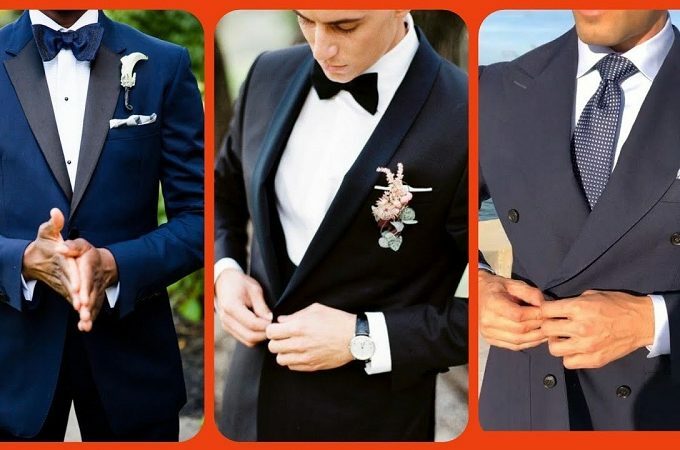 Highly expensive jewelry or dazzling stone jewelry would not look as gorgeous in a beach wedding as it would in an indoor wedding. Beach wedding hairstyle for short hair can be simplistic with hair simply combed and reinforced with pins. You can also try braiding if you hair is shoulder length or longer. 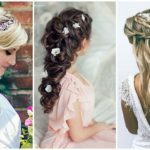 Stylish braids often look chic when decorated with hair accessories. You can let your stylist decide the numbers of braids and the style of braids to be used. 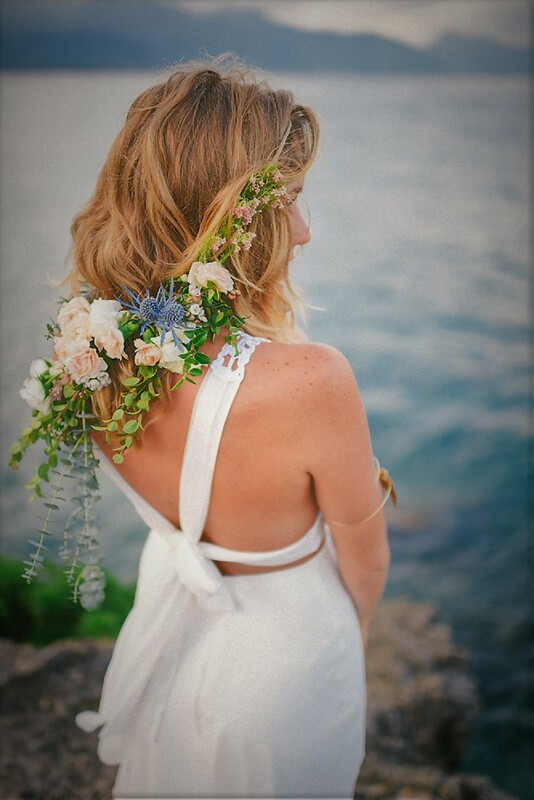 Beach wedding hairstyle cannot be overtly formal or the one which would be difficult to manage in the wind. 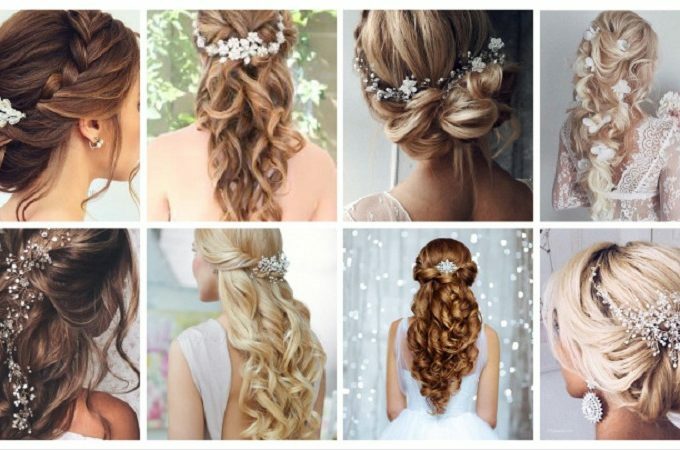 For the bride to look fresh, happy and comfortable a slightly informal hairstyle should be chosen.